House Siding - Performance Roofing, Inc.Performance Roofing, Inc.
House Siding Available in Berwick, Eliot, Lebanon, Sanford, Kittery, York Maine and Surrounding Communities. Our house siding from Performance Roofing is especially hardy, designed to withstand nearly anything Mother Nature can throw at it, from hail to high winds. Performance Roofing proudly offers some of the best house siding to homeowners throughout the state of New Hampshire. In addition to being remarkably tough, our house siding is also very attractive, and it can help to improve the curb appeal and value of your home. Best of all, our Performance siding is also highly energy efficient, which not only helps to promote a green lifestyle that can lessen your impact on the environment, but will save you money on your monthly energy bills. Able to withstand high winds. Best of all, our teams of fully licensed and certified installation professionals will do their utmost to ensure that your new state-of-the-art house siding is installed rapidly and properly. In fact, we’re so confident in our team and in the quality of our product that we offer a labor warranty in addition to a transferable warranty on the siding itself. To learn more about our available house siding options, contact Performance Roofing today. 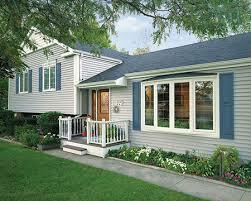 In addition to House Siding, we also provide Metal Roofing, Asphalt Roofing, Windows and more. We proudly serve communities throughout the state, including Somersworth, Dover, Rochester, Durham, Barrington, Milton, Lee, Newmarket, Farmington New Hampshire and Surrounding Communities in the New England area..